If you have a small business, marketing is one of your most important tasks. It's also the one that might give you the most headaches. Everywhere you turn, there's someone giving you advice - usually to use whatever product or advertising venue they're selling. Today I was discussing marketing with real estate agents, and the discussion came around to the need for consistency. Many things work to help agents build their businesses: Direct mail, email drip marketing, social media postings, YouTube videos, networking, and on and on. something for a week or a month and if they don't get instant results, they move on to something else. It's a never-ending cycle of trying (and spending), quitting, and trying (and spending) again. They experience life on a roller coaster. Other small businesses do the same. Why? Because the business people are unable to make a decision and stick to it long enough to get results. They just never feel sure that they've made the right choice. Fortunately, Dr. Bach came up with a flower essence to alleviate that problem. Scleranthus will help re-balance energies so the person can weigh the options, make a decision, and stick to it. That doesn't mean every decision will be correct, but it does mean they can try something long enough to know whether it will produce results. Those who are simply too insecure to make any decision, let alone stick with it, can get help from Cerato. This flower essence helps the individual who doesn't feel confident listening to his or her own instincts. They seek advice from others - and often those "others" have an ulterior motive in recommending a marketing course of action. 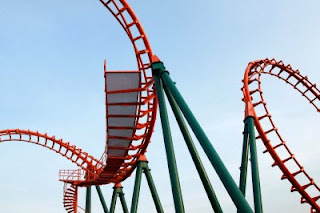 If you're in real estate and experiencing a roller-coaster income, you may need Scleranthus and Cerato to help you settle down and start marketing effectively.